Jeep Extended Warranty or Vehicle Protection Plan - autopom! Is your manufacturer’s original warranty expired or expiring soon? Consider purchasing a Jeep Extended Warranty or a Vehicle Protection Plan from autopom! Jeep: the original SUV. Its history goes all the way back to 1945 when it was first built for the military and became the vehicle of choice for the U.S. Army due to its ability to go almost anywhere and do almost anything. Today, Jeep offers something for almost every type of adventurer – from the Jeep Wrangler, the classic, go-anywhere off-road vehicle; to the Jeep Patriot, the affordable compact crossover SUV; to the refined Jeep Grand Cherokee, a very capable four-wheel-drive SUV that also incorporates good design and plenty of nice features. For adventurous types, especially ones who find themselves off-road on a regular basis, many believe a Jeep is the way to go. And even those who simply use their Jeep Grand Cherokee for their daily commute and an occasional jaunt up the mountain or off-road believe their Jeep is a great vehicle. But just how reliable are Jeeps? And if you own or are about to buy a Jeep, should you consider a Jeep Extended Warranty or a Vehicle Protection Plan from Autopom? Almost certainly yes! If you have done any research on Jeep’s reliability, you will not be surprised to hear that Jeeps are not considered to be very reliable by any of the experts. For example, the 2014 and 2015 J.D. Power U.S. Vehicle Dependability Studies (which examined problems experienced during the past 12 months by original owners of three-year-old vehicles), showed that Jeep vehicles experienced 178 and 197 problems per 100 vehicles! That is 45 and 50 more problems per 100 vehicles than the industry average, putting Jeep almost at the very bottom of all vehicle manufacturers in the U.S. 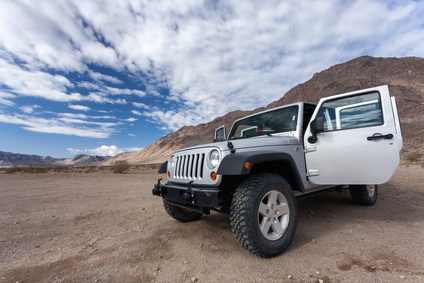 Considering these problems are occurring before the vehicle is out of the original warranty, you should absolutely consider how a Jeep Extended Warranty or a Vehicle Protection Plan from autopom! could benefit you. More specifically, if you own or are about to buy the popular Jeep Grand Cherokee, be aware that there are many known problems for many recent model years. For example, carcomplaints.com has given the 2014 Jeep Grand Cherokee its “Beware of the Clunker” badge due to an unusually high number of complaints about transmission problems! Consider that most 2014 models have been on the road for less than two years at this point, which is very early to see transmission issues. Transmission problems can be expensive, so a Jeep Extended Warranty or a Vehicle Protection Plan from autopom! could very likely pay for itself with one repair. Before you take your Jeep on your next adventure, take a look at your options for a Jeep extended warranty from the dealership or Vehicle Protection Plan from autopom! We invite you to learn more about a vehicle protection plan from autopom! and see why it could be a good choice for you and your Jeep.